Barpak, Nepal – the day after the quake that killed thousands. Thus are the lugubrious grumbles of a western thrill-seeker, a mountain climber, who is now begging for a plane to take him out of Nepal. He wants to get back to civilization. The yogists, trekkers, and climbers (some of whom paid $60,000 to be dragged up Mount Everest) were whining about the hardships they were facing and wondering why their embassy wasn’t getting them home. I realize that it was the second day after the earthquake and richly spoiled westerners were in shock, saying things to the camera crew that they would have said differently if they had not been so shaken. But the theme was repeated again and again. They wanted to go home and they were dismayed that their government was not making it happen fast enough. The Canadian government obliged. I saw a clip of Canadians seated on a huge Hercules cargo plane which had just been emptied of food and medical supplies. It was departing with home bound tourists and trekkers. These people were clutching their yoga mats and their hiking boots and getting a ride out. To be fair, there were undoubtedly some visitors to Nepal who stayed to help. Some of those fleeing had small children and others had been injured. Some certainly couldn’t help. (I can imagine myself – in my wheelchair – manning a phone, perhaps, but otherwise being more of a liability than a help.) Nevertheless, some of those heading home were complaining that their holidays had been rudely interrupted. 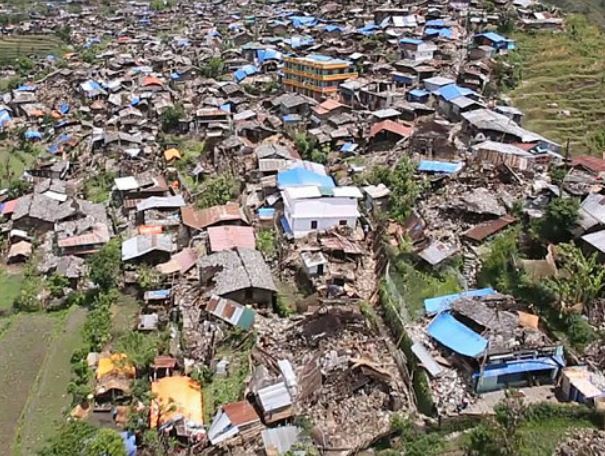 It is likely they didn’t understand the scale of the devastation that had struck Nepal. There is the rubble of a thousand buildings that needs cleared and sifted for survivors and bodies. Over 6,000 people are dead. There are families to help. And there are a few volunteers who have arrived in Nepal with exactly these thoughts in their minds. 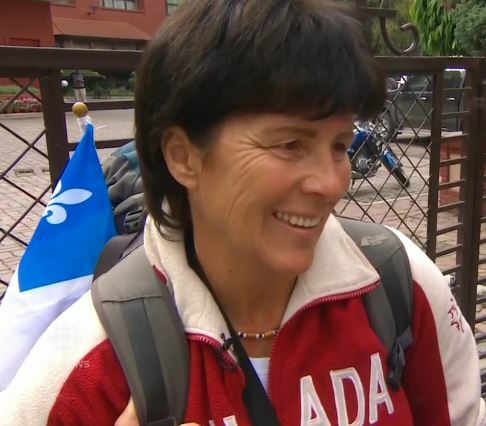 I’d like to note one person who dropped everything, rounded up as many medical supplies as her bags could hold, and raced from Montreal to Katmandu. Without a sponsor, without wads of cash, with no NGO leading the way, Jeanette left Canada as quickly as she could. She is now in the village of Lanagol, Nepal, doing what she can. She is in a bit of a different position – a paramedic by training, she had been to Nepal in the past as a visitor. Since then, she had returned a few times to teach emergency medical care. There was no question in her mind that she needed to go to Nepal quickly. You can see her story here. This entry was posted in Culture and tagged Katmandu Earthquake, Nepal. Bookmark the permalink.